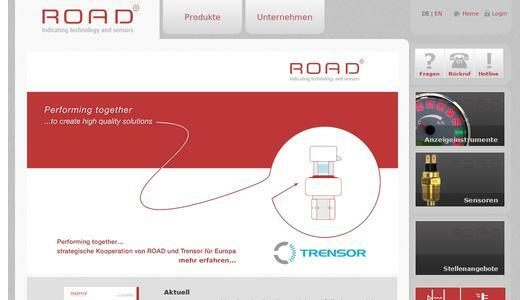 Here in Germany, ROAD Deutschland GmbH, an experienced, innovative development partner and manufacturer of sensors and display technology, for automotive, construction and agricultural machinery, commercial vehicles, marine, aviation, and industry. With a clear focus on customer specific application technology, individually developed, and then made available in the ROAD portfolio for all. There in Irvine, California, Trensor LLC, a leading manufacturer and global supplier of high-tech pressure and combo pressure and temperature sensors, producing large volumes for the automotive sector. With a multiplicity of patented techniques, significant design capabilities as well as state of the art production equipment with annual production capacity of 15 million sensors, and sufficient open capacity for any new customer projects. Two companies, each in themselves recognized for their excellent standing in their respective markets, occupying premier positions in their areas of expertise. They are now taking the next step together with a technical and sales cooperation for targeted European markets. As independent partners serving new markets they can each now offer their customers a significantly extended portfolio. For all ROAD customers this means: besides display technology, matching sensors and integration into external control technology, exclusive ROAD technology will co-develop specific Trensor products, making our pressure sensors unmatched in durability, many benefits from lighter weight products and which are extremely accurate, along with integrated ASIC circuits available for a variety of specific applications. 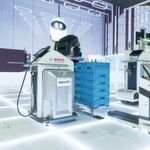 Furthermore, alongside traditional market applications, new sensor products for mobile hydraulics and industrial facilities are in preparation. Of course – as with the entire current product range – all products will be appropriately certified according to international standards, as well as to the extended requirements of known international OEMs.